Responsiveness and connotation skills are in the center of interest of Stress Tolerance Test. The test is to assess your working capacity in a stressful situation. 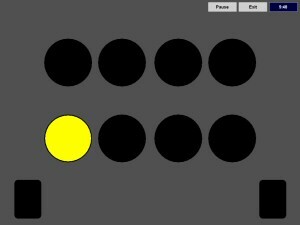 A set of two rows compiling a total of eight circles is displayed on screen along with two position markers framing the set. You are to respond to audio and visual activity in the program.